Back when I was growing up — and obsessed with Little House on the Prairie — I fantasized about living on a farm. My family was living in Chicago at the time, so living in the country sounded irresistibly exotic compared to the concrete and brownstone apartments and L trains of my youth. My fantasy farm was set atop rolling hills, where I’d ride horses and keep chickens and harvest sap to make maple sugar candy. I’d envision myself as an adult, coming out of the kitchen and onto a wide porch to admire the view. I’d wipe my hands on my apron as I took a break from canning and bread-making, and I’d call to my brood of kiddos playing outside. Dinner! 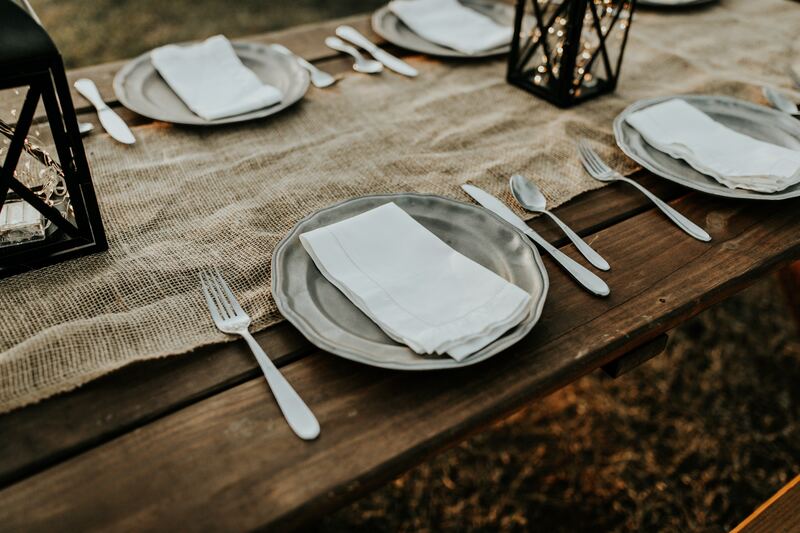 I’d sing — or maybe I’d even ring a big ol’ dinner bell — and they’d all come running, eager to gobble down whatever wholesomeness I was putting the table. In this fantasy world, the farming and domestic lifestyle was easy. For starters, it was always sunny. No weeding was necessary, and our garden was overflowing with raspberries and blueberries, as well as carrots (the only vegetable I liked as a kid). And if I were to continue this fantasy today, feeding my family healthy meals would be simple and effortlessly easy — and I’d never feel too tired or too rushed or too overwhelmed to make it happen. Plus, no one would ever complain about having to try new foods or eat more cauliflower. Well, here’s the truth: I never ended up living out that farm life fantasy. I still live in a city (Portland), and while I could keep chickens here within the city limits, I don’t. Too much work! I never made it around to bread-making, although there’s a very nice bread-making cookbook gathering dust on my bookshelf. 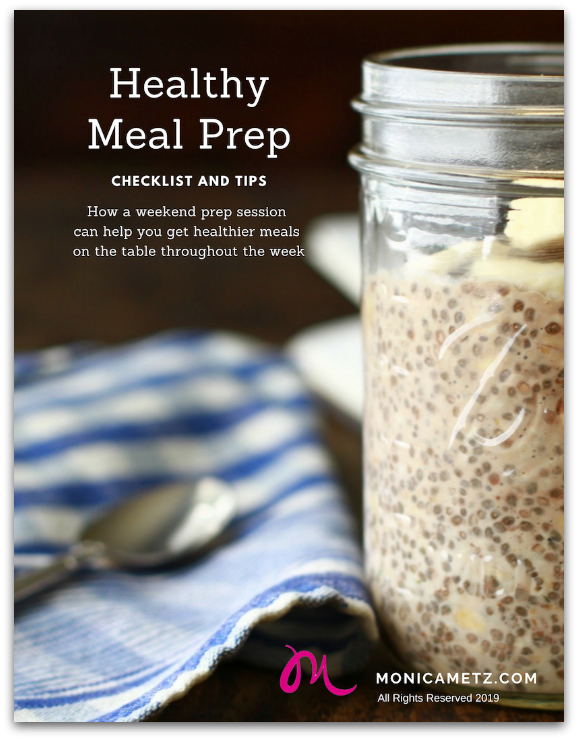 And sometimes I am too tired to cook — which is why I’m obsessed with coming up with even more ways to hack healthy meal prep. Plus, there’s this: I’ve never even tried “putting up” a cellar full of pickled vegetables and tomato sauce and huckleberry jam in the summertime. That whole sterilization process really freaks me out, you know? So I suppose my childhood farm fantasy never panned out. 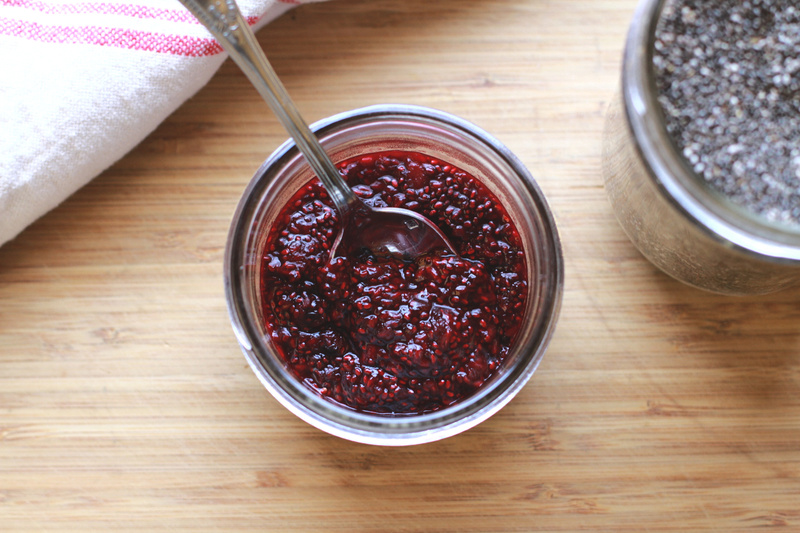 Or so I thought, until I made this great new recipe: Mixed Berry Chia Jam. This recipe is a total WINNER for those of us who have Laura Ingalls (or Pioneer Woman) dreams in our hearts, but don’t quite have the time, patience, farmhouse, or technical savvy to become a home canning queen. Ridiculously easy: only a few ingredients. Fast: it comes together in under 10 minutes. Packed with nutrients, antioxidants and fiber from whole berries. This Mixed Berry Chia Jam calls for frozen berries, and far less sugar than store-bought jams and jellies (it calls for honey). 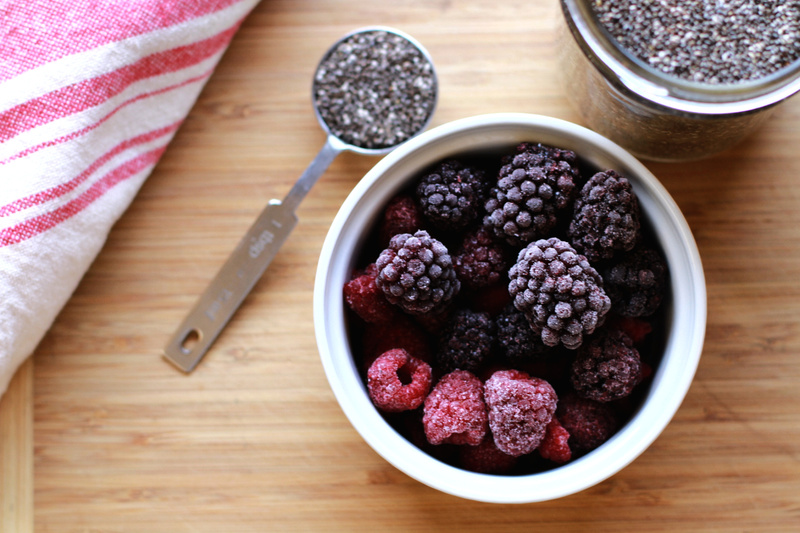 The addition of chia seed gives the cooked berries a true jam-like consistency. Plus, chia seed works wonders on our digestion. Especially if things are a little slow for you in the digestion department — if you catch my drift. 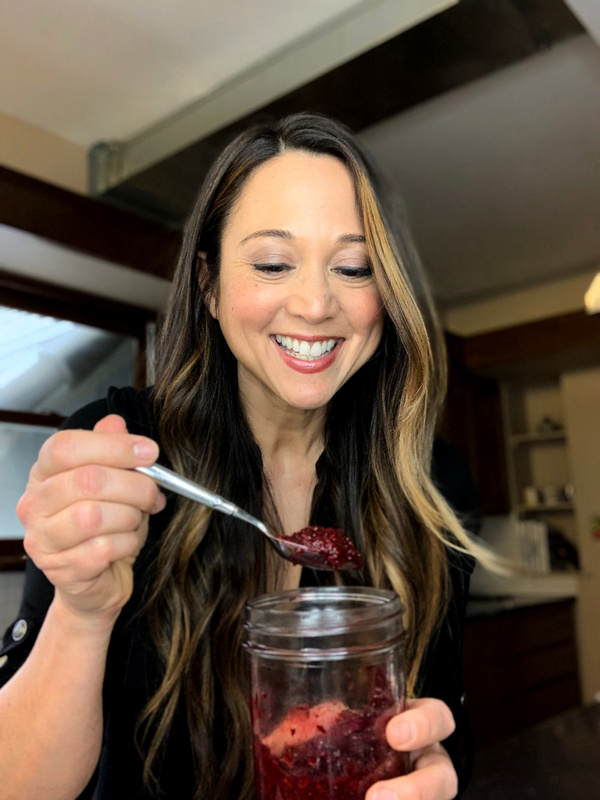 I recently made the Mixed Berry Chia Jam during one of my healthy eating segments on More Good Day Oregon. To see me make this recipe step by step, just check out the video below. Sure, I may never set up a country buffet with gallons of homemade lemonade in the middle of my own pasture, but when I taste this jam on a piece of gluten free toast, I feel like I’m making part of that childhood farm fantasy come true. Fresh, homemade jam. So satisfying. So DIY. So like home canning, but without all of the boiling and paraffin. Not too shabby for this city girl… or you. Yee-haw! Now, please note that this is quick-jam, so it’ll only keep about 4-5 days in your fridge. However, it probably won’t last that long after you figure out how great it tastes in sandwiches, oatmeal, and overnight oats. Or spooned on top of coconut yogurt, my personal favorite. Great! Just click here or on the green box below. So that’s it for today’s post and recipe. Now it’s your turn: do you have any farm or homesteading fantasies of your own? Do you have any country cooking dishes you’d like to see retrofitted for a healthy lifestyle? Please leave a comment below, or connect with me on Instagram. I’d love to hear from you!